Seventy-seven Indiana high school seniors -- 39 boys and 37 girls -- have been chosen as first-team Academic All-State by the Indiana Basketball Coaches Association, it was announced Tuesday (March 19). Locally, Cooper Yancey of Madison and Hunter Mefford of Southwestern were chosen honorable mention for boys. Madison's Bailey Dyer was selected to the first-team while Harper Watson of Madison and Abby Ralston of Southwestern were chosen honorable mention for girls. "The quality of these student-athletes shows that success in academics and success in athletics are not separate entities," Witty said. "Rather, in many cases, a player's success in the classroom directly contributes to his or her success on the floor." IBCA-member head coaches from schools across the state may nominate their seniors who meet criteria that include a 3.5 GPA or higher on a 4.0 scale, a class rank in the upper 25 percent of one's class, an SAT score of 1,100 (on the reading and math sections) or an ACT score of 24. 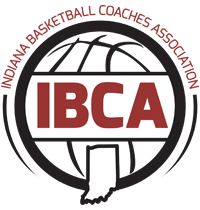 The IBCA has selected an Academic All-State team for boys since 1973. The program was expanded to include a girls' Academic All-State team in 1980.